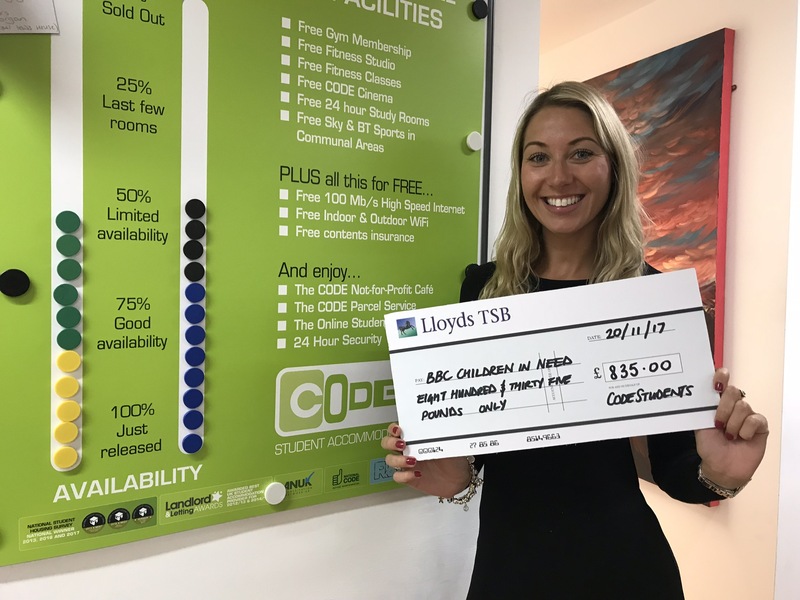 A big THANK YOU for everybody who participated to help CODE raise a whopping £835 for Children in Need 2018 !! The CODE Sales Team put on their Pudsey outfits and wore big smiles as they made 61 sales on the day with the help of our generous students who themselves enjoyed our CIN Bake Sale in the Café where we were only left with crumbs and nearly £100 – and not least the 132 likes and shares who helped everybody enjoy the fun. What a great day. What a great cause. Well done to all.